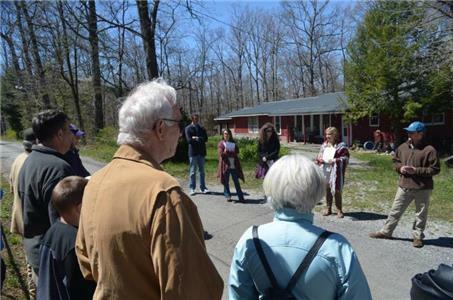 This past Saturday, the Tennessee Preservation Trust (TPT) in collaboration with Sewanee the University of the South in Monteagle celebrated the rich history of the Civil Rights Movement in Tennessee with tours of the historic Highlander Folk School site. 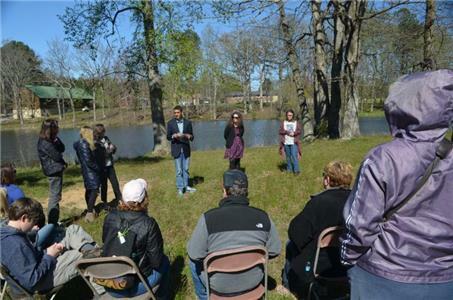 These very special tours will continue through April as part of TPT's Preservation50 in Tennessee campaign celebrating the 50th anniversary of the National Historic Preservation Act (NHPA) including its incorporation of the Civil Rights Initiative aimed at telling the story of the Civil Rights Movement. Preservation50 in Tennessee tells the story of the great value of preserving historic places all across the state. Through highlighting the story of the historic Highlander Folk School, Preservation50 shares how this quiet rural corner of Tennessee became a landmark on the international stage for the Civil Rights Movement. Highlander was a place where people of diverse origins came to learn together and from each other to organize against oppression, most notably labor unions and later efforts for civil rights. The folk school welcomed important figures of the Civil Rights Movement such as Rosa Parks, Septima Clark, and Dr. Martin Luther King, Jr. The music director at Highlander at the time, Zilphia Horton, is also attributed to turning a well-known spiritual into the movement's iconic anthem, "We Shall Overcome," while at the folk school. Speaking about Highlander, Rosa Parks once said, "It was quite enjoyable to be with the people at Highlander. We forgot about what color anybody was. I was 42 years old, and that was one of th few times in my life up to that point when I did not feel any hostility from white people." Tours are led by students enrolled in courses offered through the Collaborative for Southern Appalachian Studies at Sewanee, particularly Introduction to Public History and Place-Based Research Methods led by Margo Shea, a visiting fellow with the Collaborative. Shea has worked with students to conduct research and find creative ways to interpret the site. On each tour student guides share the history of the site, vision and ethos of its founders and staff, the incredible contributions made to U.S. labor, civil rights and social justice movements, and the efforts to preserve the historic property. On the importance of preserving the landmark, student Chris Murphree said, "The shape and stays of a landscape affects how we visualize and remember the past. When we make use of such a powerful property as this one, we invite the memories, the stories, and the experiences of the past to inform and guide us in our lives today." Purchased by the Tennessee Preservation Trust in 2014 after being placed on their annual "Ten in Tenn" most endangered list, this is the first time the non-profit has opened the historic site to the public. Tours will be offered every Saturday through the end of April at 1 and 3 p.m. Those interested in attending are asked to arrive 10 minutes early. Tours begin and end from the original site of the Highlander Folk School Library at 120 Old Highlander Lane in Monteagle, Tn. For more information, contact Jenn Harrman with the Tennessee Preservation Trust, jenn@preservetn.org.